DDoS attacks were an regularly reported issue for data centers of all sizes in 2014, and the rise in hacker activity is far from an isolated incident. In fact, the Annual Worldwide Infrastructure Security Report compiled by Arbor Networks reported that respondents to the survey have reported larger, more complex DDoS attacks as far back as 2005, said SC Magazine. Today's multi-faceted attacks, combining state exhaustion, application-layer and volumetric tactics, were unheard of in those days. Even worse, the report suggests that the huge population of unprotected servers on the net make it simple for hackers to carry out denial of service attacks on a massive scale. That's why you and your IT staff need a dedicated strategy for responding to and recovering from a DDoS incident. Considering the scale of some of the DDoS attacks undertaken in 2014, it's no surprise that last year left hackers feeling bolder and IT teams more wary. The largest DDoS incident ever recorded, clocked in at 400 gigabits per second, was perpetrated in February, according to Computerworld. 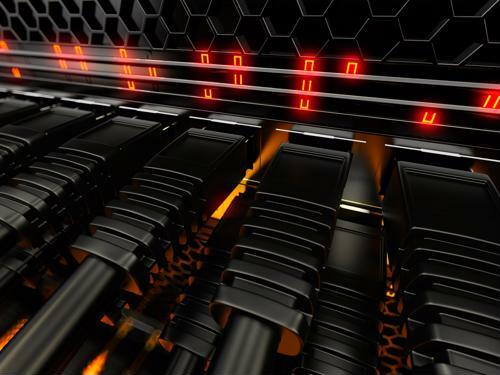 Likewise, Akamai reported that it was forced to fend off over 15 intrusions measuring over 100 Gbps in a single quarter of 2014, including a major 321 Gbps incident. DDoS attacks were even able to shut down the major gaming console networks for three days over the Christmas weekend, to the displeasure of thousands of gamers. The resource predicted that 2015 may even see a petabit-per-second attack, emphasizing the need for IT teams to identify a timely response strategy to potential hacker activity. Data Center Knowledge pointed out that there is plenty that you and your IT staff can do to prepare a data center for a denial-of-service incidents. Preparing and deploying backup servers, for example, is a simple way to mitigate the impacts of a DDoS attack. The resource recommended utilizing unpublished IP to reroute legitimate customer traffic to the proper destination. By utilizing a remote console server kept separate from your central network, accessing backup data from another location becomes much simpler. Another important step that your IT team can take is to plan and implement a disaster control plan. If a DDoS attack is going to shut down your critical business applications, then communicating these details to clients and employees is essential to keeping their trust and their business.